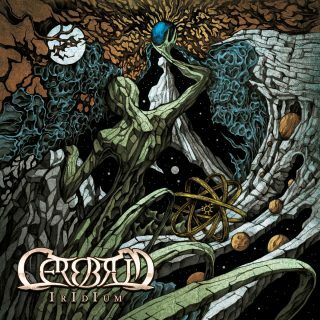 Cerebrum : Iridium album download | Has it Leaked? Greek technical death metal stalwarts release a mind-boggling album of intense and complex death metal music that doesn't abandon soul and emotive values in favour of technicality. This is momentum-heavy, rhythmic and visceral death metal that remains challenging while not disrupting flow or memorability. This quality seems long forgotten in the race of being the fastest or most flamboyant, and that is the very reason this experienced band that once boasted of having a NILE member, George Kollias, in their ranks, stands out from the pack. With stunning artwork from Costin Chioreanu (AT THE GATES) and special mastering from Colin Marston (GORGUTS), everything is ensured to provide maximum clarity despite prevailing (and essential) chaos, while retaining a human touch all along.